Chances are if you’ve purchased or worn a tie dye shirt in the last few years, you’ve worn a shirt designed by Dyenomite Apparel. 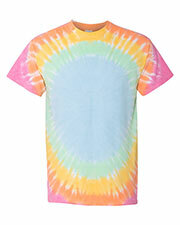 Now with new and unique colors, cheap tie dye t-shirts and sweatshirts can help bring some zany fun to an entire family, team, or company. 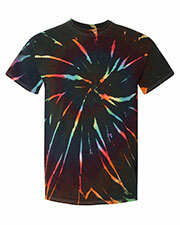 Cheap tie dye shirts from Dyenomite Apparel are custom designed to produce brilliant patterns and colors. 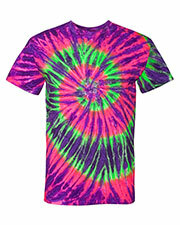 Affordable tie dye shirts make fabulous gifts, especially for those that have an eye for creativity. So the next time you attend a coworker’s backyard bar-b-q, show off your unique personality with an inexpensive tie dye t-shirt. 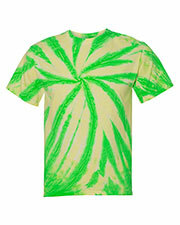 Dyenomite Apparel tie die shirts offered by Gotapparel.com come in men’s, women’s, and youth sizes. 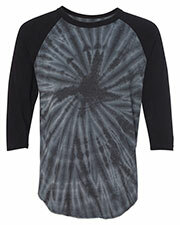 The term “tie dye” is a relatively new phrase from the 1960s to describe techniques that go back to ancient times, also called resist-dyeing. Ancient forms of tie dyeing can be found in the Americas, Asia, and Africa. 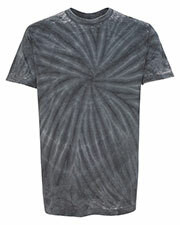 Of note are the Japanese technique of shibori and the Indian batik. 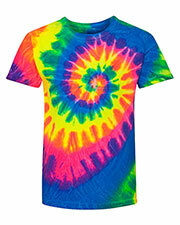 Despite the bright colors popular for modern tie dye shirts, many ancient designs and techniques used more subtle colors and patterns. 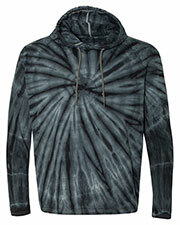 Other blank apparel available includes fleece, athletic wear, headwear, and outerwear.